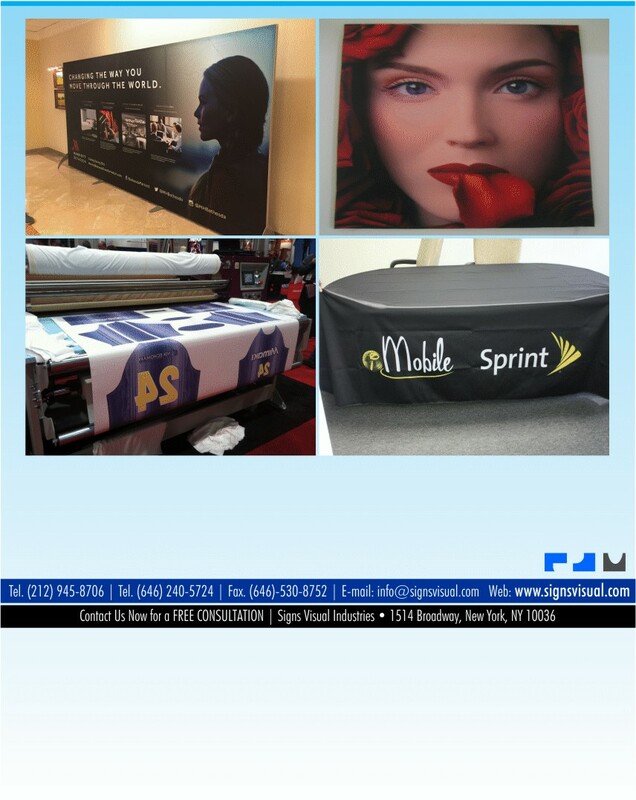 Signs Visual prints custom fabric banners and textile graphics in NYC. Our fabric banner printing method utilizes dye-sublimation inks for optimum output onto a variety of textile materials including fabrics, poplin, poly silk, poly duck, nylon flags, and poly linen. These fabric banner displays are used for backdrops, tablecloths, flags, stage skirting, pillow covers, and for point of purchase displays. We can print up to 10 ft wide on the short side. Contact us today for your textile printing needs in New York, NY!